We apologise for the long wait for Part II of the Village! P!D was on hiatus for the past couple of weeks as we needed time to recharge and reflect. Now that we're back, we're raring to go and will be rolling out Phase 2 of The Upcycle Project in the weeks to come. 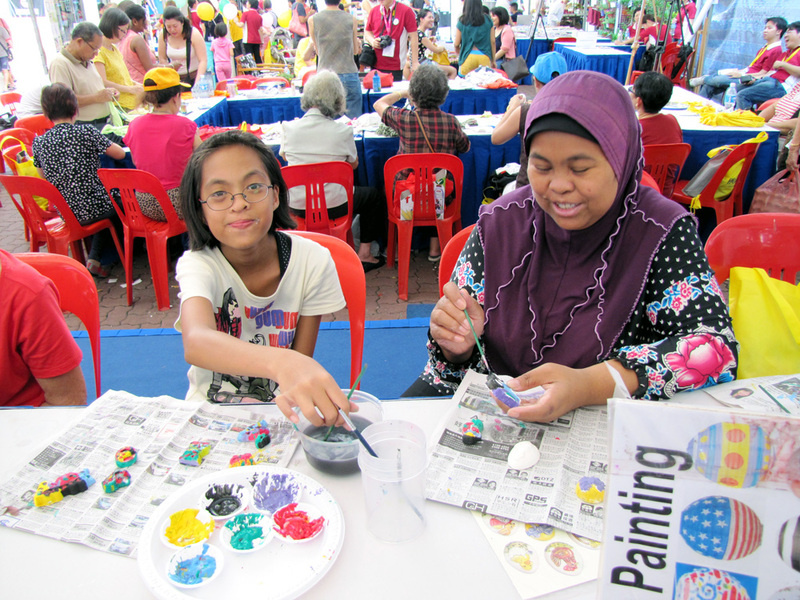 The exhibition of objects and stories and the Community Exchange were not the only things that were happening that day. 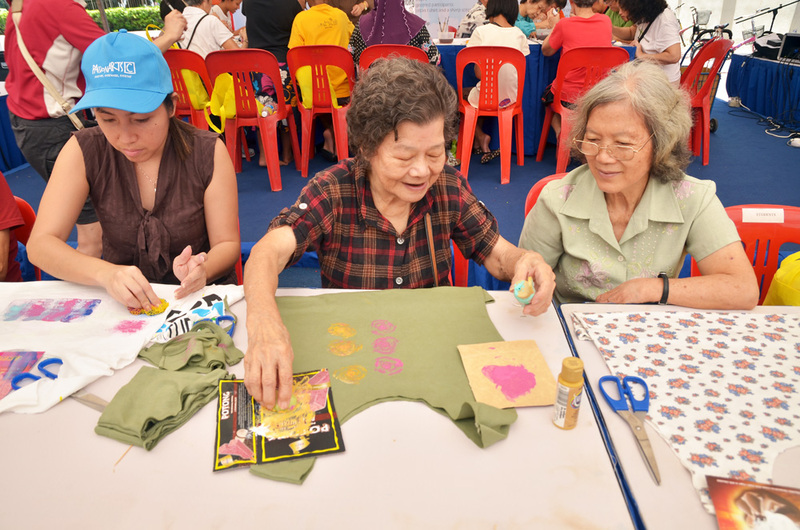 There was also a host of fringe activities to complement the exhibition, such as perfomances, upcycled craft workshops, etc. 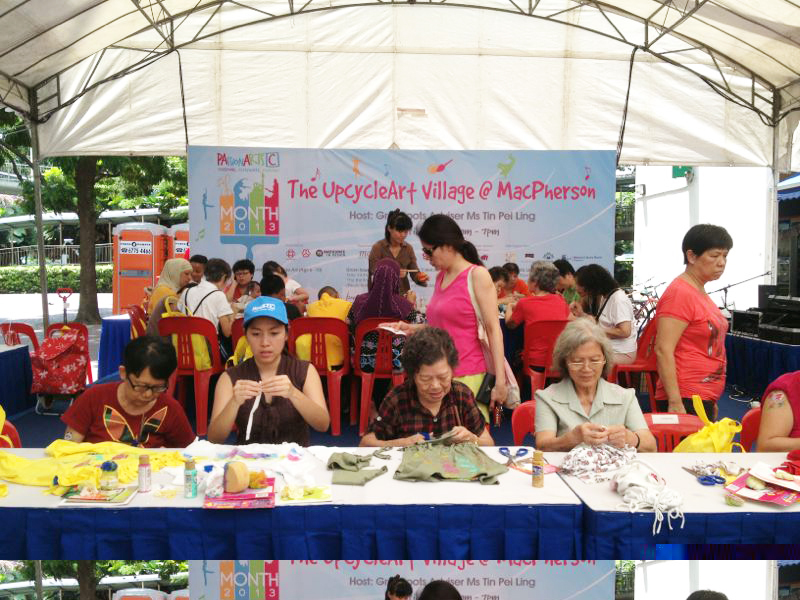 We saw many happy faces as people of all ages learnt to make bags out of old T-shirts and bobby pins out of fabric scraps, among others. Thanks to all our wonderful facilitators and instructors for bringing out these local talents within the MacPherson community! 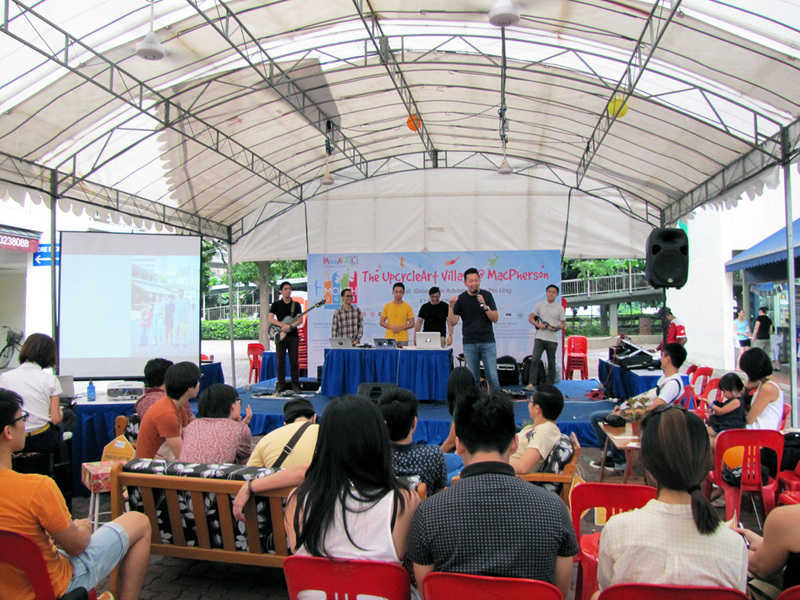 In the evening we were also happy to host the 6th installment of BASICALLY, otherwise known as BASICALLY, 06: Upcycle!. BASICALLY is a platform for local creatives to share their works, and we couldn't have been more delighted to have them join us in the heartlands. Amidst the awesome showcase of music and film, we also shared about P!D and The Upcycle Project, made new friends and reconnected with old ones, and were just glad to see the outdoor living room that we had created out of the objects be part of this experience. None of this would have been possible without our key project partner, MacPherson CC, and of course our lovely volunteers, each of whom came into our lives in their own special way: Genine, Yanjie, Anthony, Caleb, Calvin, Martin, Renhui, Adib, Set, Chris, Mavis, Nadira, Adeline. We are thankful for each and every one of you for all your help and contribution to this humble initiative, and look forward to having you join us in Phase 2.